WordPress has become one of the best ways both businesses and individuals can harness the potential of the online world. Using such a forum where any and all walks-of-life gather has rendered endless e-commerce and marketing opportunities for businesses around the globe. But this also means it’s becoming more and more easy to get lost in the crowd. On a daily basis, there are over 500 websites being built by WordPress, making it even more important to ensure your site and product stands out and is easily distinguished from competitors. Luckily, WordPress plays host to a gargantuan community of volunteers who are constantly updating and creating new code along with theme developers who are contributing new and fresh WordPress themes every day. Rather than a cookie-cutter website with a rinky dink theme, these developers are churning out themes with an impressive amalgam of features and high customization to get you crafting a truly unique website that is also responsive to varying screen sizes, such as mobile or iPad. Since there are probably hundreds of people utilizing the same WordPress themes, it’s essential to find themes that allow for ultimate customization. For companies, it’s incredibly important to establish a distinguished brand. You won’t accomplish this by using a theme that allows for little customization. With that said, let’s take a look at five of the best and most popular customizable WordPress themes. Built for travel agencies and tourist attraction-type websites in mind, Hot Paradise is a powerful new theme created this past summer by Hot Themes with a price of $49 on Themeforest. Hot Paradise makes customization a breeze by allowing users to customize almost everything right from your website’s Live Customizer, allowing you to view changes instantly. This includes the logo, page elements, background images, and your site width and gutter, to name a few. You can also control the appearance of all your menus using the customizer tool. With their focus on travel, expect beautiful fluid and fixed page layouts that can be easily modified using their drag’n’drop Layout Builder along with other aesthetic features such as 800+ Google fonts and smoothly transitioning slide shows powered by their Slider Revolution. This theme is fully-responsive and optimized for displaying stunning imagery with their Retina Ready specs for retina devices. Hot Paradise can also be used for non-travel websites as it contains a variety of components and customizations that can work well to build websites for virtually any industry. Coming in with a price tag of $64, Arka Host created by Elite Authors brings a responsive and easy-to-customize theme that’s clean and professional. It’s no wonder Arka Host has become a best-seller in the ThemeForest marketplace since its initial release in 2015. Since this time, Arka has evolved into a powerful theme with a wide range of impressive features, including a slider creation tool, a drag-and-drop page builder tool, and a variety of pre-built color variations. Arka Host now offers three different demos in their latest version, which takes only a couple of clicks to implement. You can build your own unique and stylish website by selecting a demo, choosing from a large host of key features, elements, sections, and shortcodes to modify. Arka Host is WHMCS Hosting and Corporate Theme that is incredibly versatile. You can expect great design, support, flexibility, and functionality. Hosted is a versatile WordPress Premium Theme from ThemeForest’s elite author OceanThemes and built with the latest technologies like the Bootstrap and icon font. With a price tag of $59, Hosted is a superior theme choice offering a variety of page layouts, responsiveness to all screen sizes, and full compatibility with WHMCS and plugins like Bridge, WHMpress, Visual Composer and WPML. You can use Hosted for hosting websites or for other purposes, as they offer multiple templates with an impressive variety of homepages, headers, and footer styles to give your business a fresh look. With their Advanced Theme Options tool, you can adjust almost anything on your WordPress website. Their one-click install for demo data is also an easy way to get started. 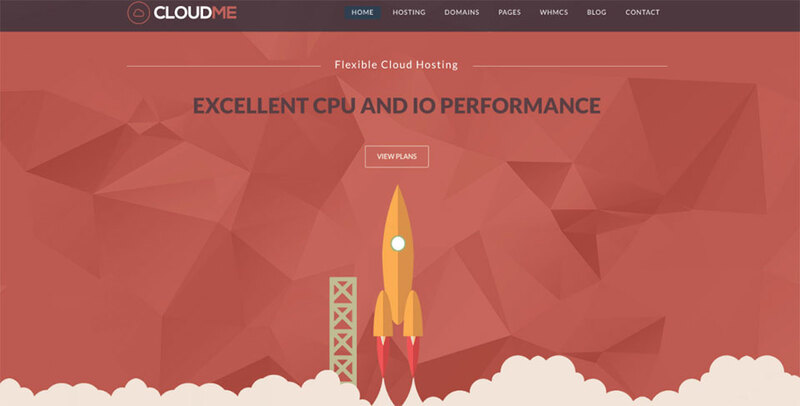 The first thing you’ll notice about the CloudMe Host theme is their stylish design. Their slick look sets them apparent from the more stale hosting themes out there that are typically packed with humdrum stock images. With CloudMe, expect a nice flair from their eye-catching animation effects and vector images that are both creative and aesthetically pleasing. CloudMe is fully compatible with WHMCS-Bridge, Visual Composer and WPML plugins and offers demo content suitable for other business types. You can also choose from one of their three homepage designs and mix and match a variety of elements to get the right look. If you’re looking to add more customization to the theme, you can use their Visual Composer builder with a drag and drop tool to make further changes. The design of this theme is fully responsive, making it easy for even your website’s mobile visitors to sign up, order a web hosting plan, and manage their accounts online. SEO WP is a flexible and stylish theme on the market for $59 and is every bit worth the price. 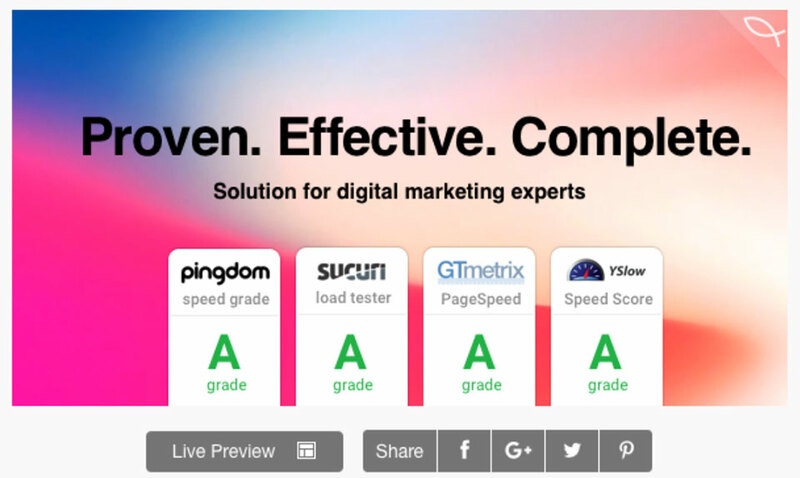 With social media experts and digital marketing agencies in mind, SEO WP allows users to build beautiful and professional corporate websites, marketing blogs, and creative portfolios. SEO WP shines in its impressive trove of features and plugins, ease of use, convenience, and flexibility in customization. Some of their best plugins that are included free are Social Share ($19), Google position tracker—Rankie ($17), Master Slider 3 ($22), and plenty more great freebies that will help you save big. SEO WP pushes the limits of web design, functionality, and flexibility by offering a versatile repository of page designs, unlimited footer layouts, and unlimited header styles to help your business craft a distinguished website. This theme sets itself apart from most others by offering a Live Composer tool instead of the standard Visual Composer tool. This unleashes the full capabilities of a drag and drop builder which can also help you design forms for your website. 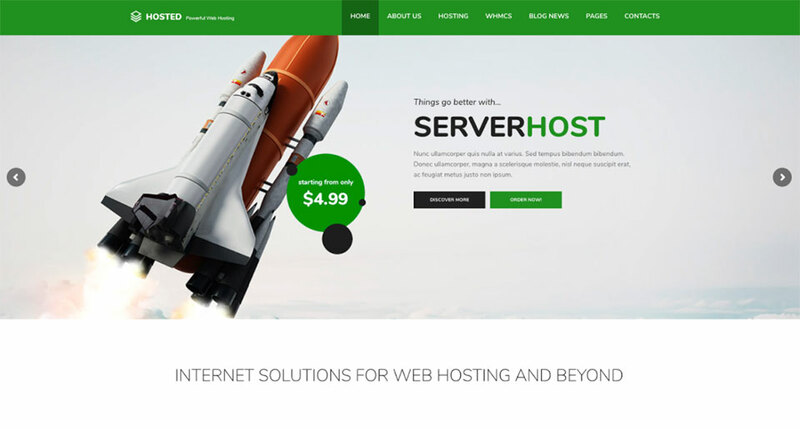 Check out this best-selling online marketing theme in action with Hosting.Review’s sleek website.